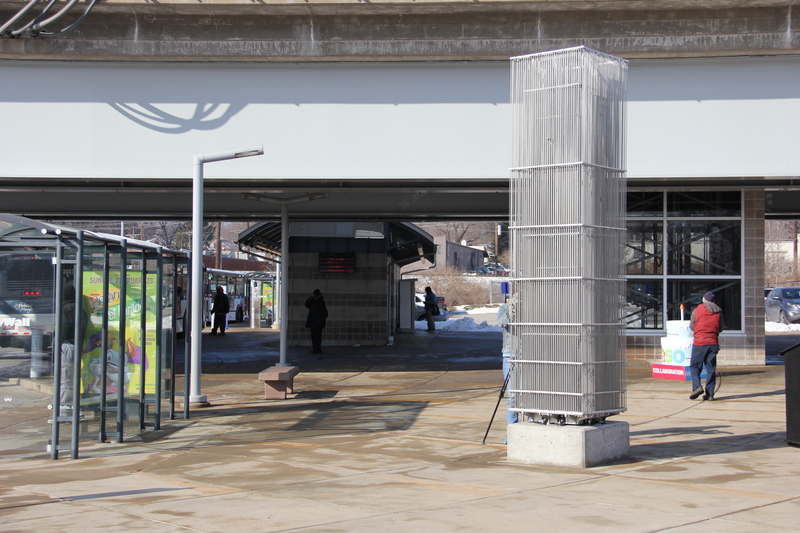 The next time you are at the Shrewsbury Lansdowne I-44 MetroLink Station, check out the new piece of art that was created by St. Louis artist Ben Fehrmann. 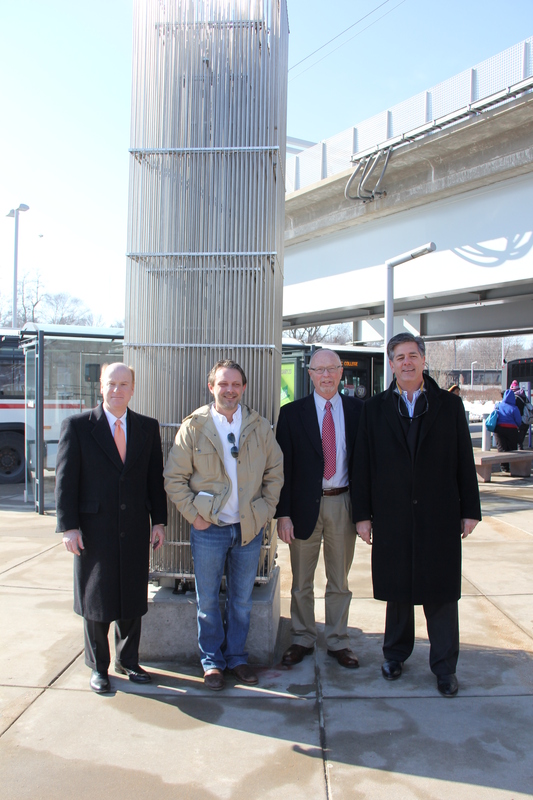 The artwork was dedicated this morning, and Bi-State Development Agency/Metro President and CEO John Nations, Metro Arts in Transit Director David Allen and Fehrmann participated in the dedication event. Fehrmann titled the public art “London.” The public art is more than 13 feet tall, three feet wide and three feet deep and is comprised of 900 stainless steel rods. “As you move towards and around the artwork, you get the sensation that the mass is dissolving and reforming, which reframes your perception of the space around it,” said Fehrmann. The project was fully funded with $50,000 in federal stimulus money from the American Recovery and Reinvestment Act (ARRA) which was awarded by the Federal Transit Administration (FTA). “We are excited to have such an eye-catching piece of art grace our busy Shrewsbury Lansdowne I-44 Station,” Allen said. Fehrmann earned a Bachelor of Architecture degree from the University of Kansas and practiced as a senior designer specializing in major public, institutional, and transportation facilities projects for Cannon Design, HOK, and others before establishing his own multi-disciplinary practice in 2007. The work of the practice is primarily public art, however projects have ranged from traditional architecture through product design. His work has been honored with numerous awards and extensive publication. In addition to full time practice, Fehrmann has taught graduate design studios at Washington University in St. Louis and The University of Kansas School of Architecture and Urban Design. He currently resides and works in St. Louis.